Your printer will never be free! OctoPrint is a great way to remotely control any 3D printer. In this article, we show you how to set up Octoprint with the cheap and cheerful Creality Ender 3 3D printer using the latest Raspberry Pi Zero. How to Set Up OctoPrint for Your Ender 3 What is OctoPrint? OctoPrint is free-to-use, fully open source 3D printer control software created by Gina Häußge and is usually run on a Raspberry Pi. Using WiFi, it enables you to monitor your printers from anywhere in the world. If you connect a camera, you can even watch real-time videos! In this article, we take a look at how to set up OctoPrint for the Ender 3, a great candidate printer for remote operation. To get started, download the latest OctoPi operating system. Once you’ve downloaded the disk image, use Etcher to write the image to your micro SD card. Make sure you receive confirmation that the disk is written successfully. Next, you’ll need to go into the SD card’s file directory and open the file “octopi-wpa-supplicant.txt” in order to set the network name and corresponding password. The ‘#’ indicates that the lines are “commented”, meaning they aren’t executed. Uncomment the four lines by deleting the ‘#’. Then, replace put SSID here with your network name and put password here with the password, keeping the quotation marks in both cases. Finally, add scan_ssid=1 below the line with the password. You’ll also need to make sure your country is correctly set. 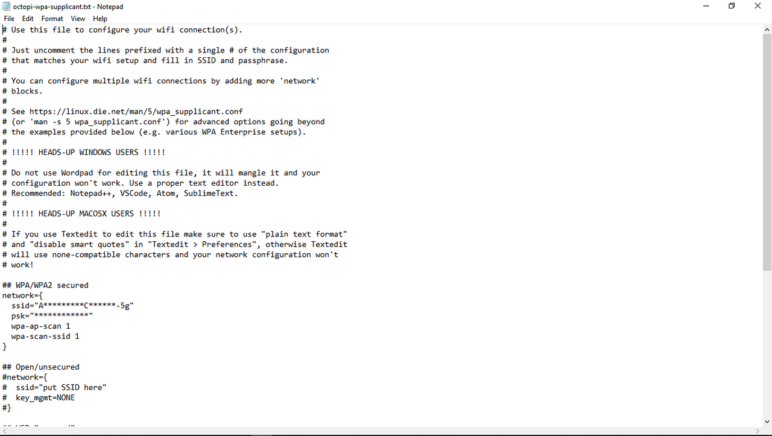 Save the changes and exit Notepad++. 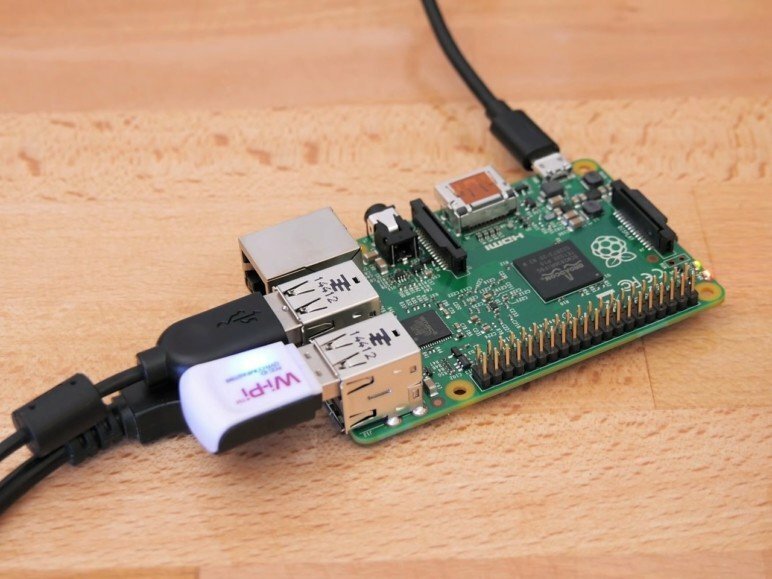 Note: The Raspberry Pi Zero W must be connected to a 2.4-GHz network, as it doesn’t support 5 GHz WiFi. 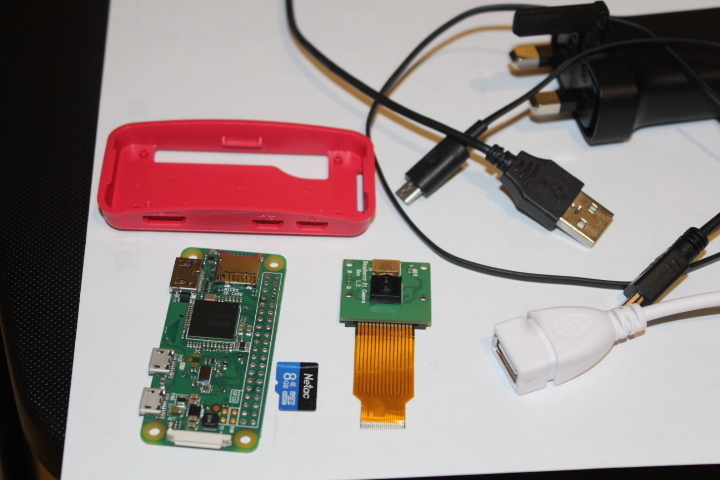 Put the SD card in the Pi, connect your printer to your Pi with the USB cable, and power up the Pi. 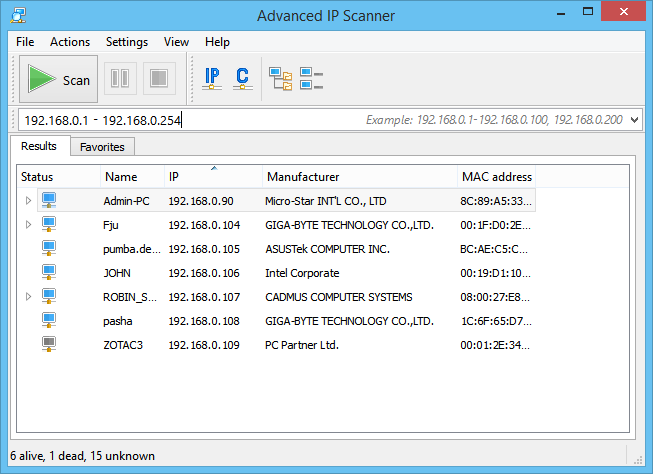 Use an IP address scanner, like Advanced Ip Scanner, to scan your network and find your Pi’s IP address. Bear in mind that your Pi will take a moment or two to boot up. If you don’t see a device called OctoPi appear in your network, check that you have the WiFi name, password, and country correctly set. If the problem persists, check that the image is installed properly and reinstall if necessary. Type your Pi’s IP address into the search bar of any browser, except for Microsoft Edge. OctoPrint will then walk you through the setup wizard. Keep in mind that the Ender 3 has a build volume of 235 x 235 x 250 mm and the origin is in the corner. 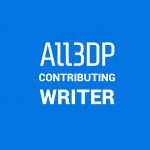 License: The text of "How to Set Up OctoPrint for Your Ender 3" by All3DP is licensed under a Creative Commons Attribution 4.0 International License.